This is the famous banana named Orinoco, Topocho or Bluggoe. 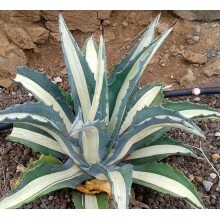 Tolerant of wind, drought and cold. Fruits are very different from the common bananas from the supermarket. This is the famous Orinoco or Bluggoe (English-Speaking countries) - Topocho or Platano Burro (Spanish-Speaking countries). It is very hardy to wind, drought and cold. 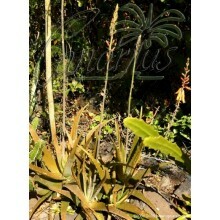 Plants endure full sun and wind and achieve a size of 3-5 m (9-15 ft) tall. 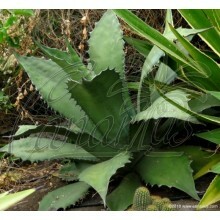 It thrives in coastal Mediterranean climates. 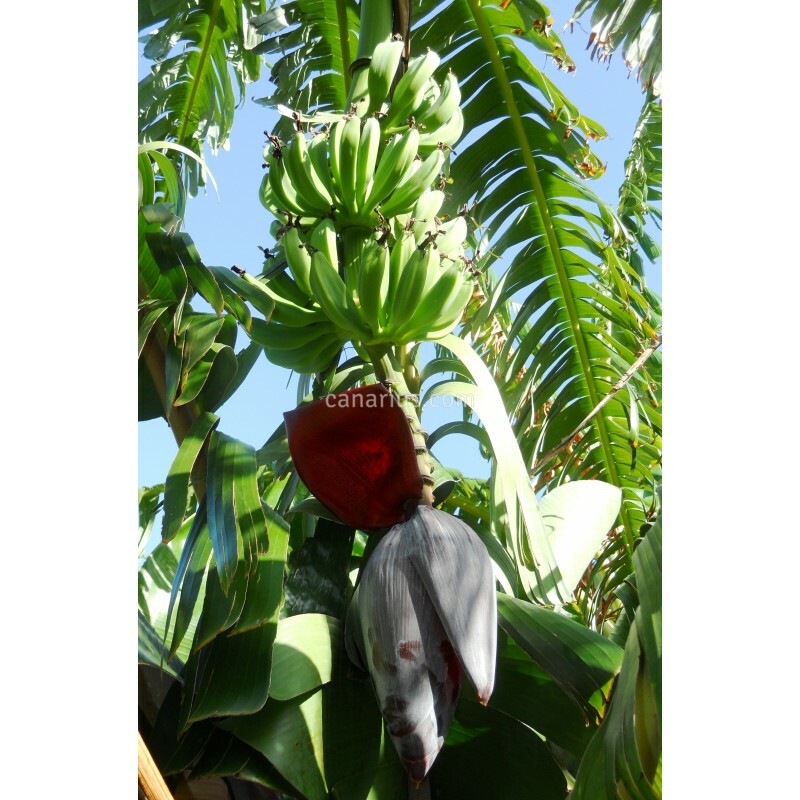 These bananas produce thick fruits, triangular or square in section. They can show some typical dark small cracks when ripe. These bananas can be eaten in both ways: green and yellow. 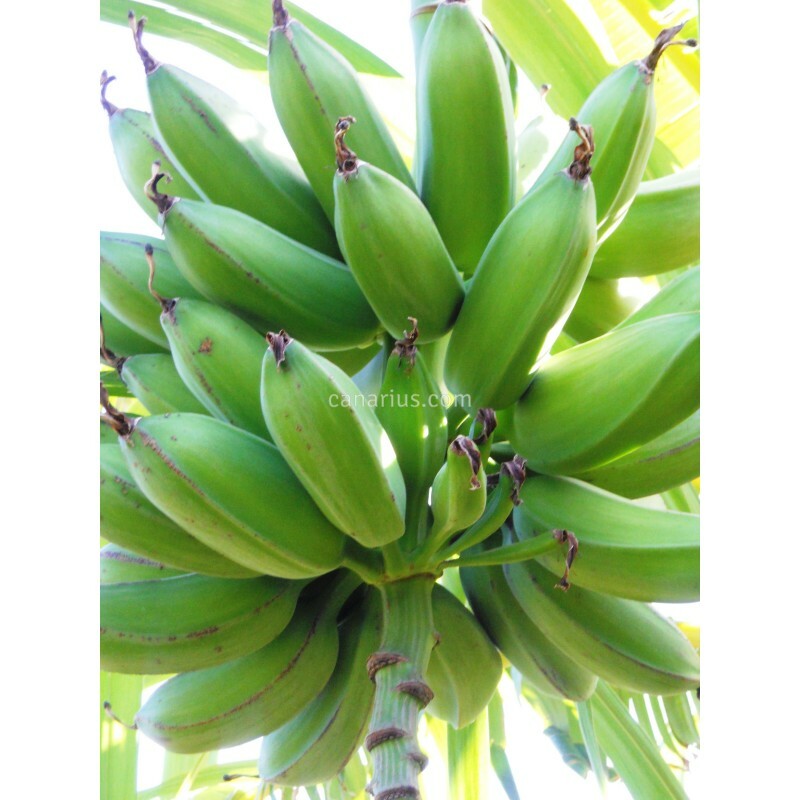 Green bananas, collected 2-3 weeks before ripening, can be fried like potatos and have an excellent taste. Ripe, yellow bananas are sweet and aromatic. 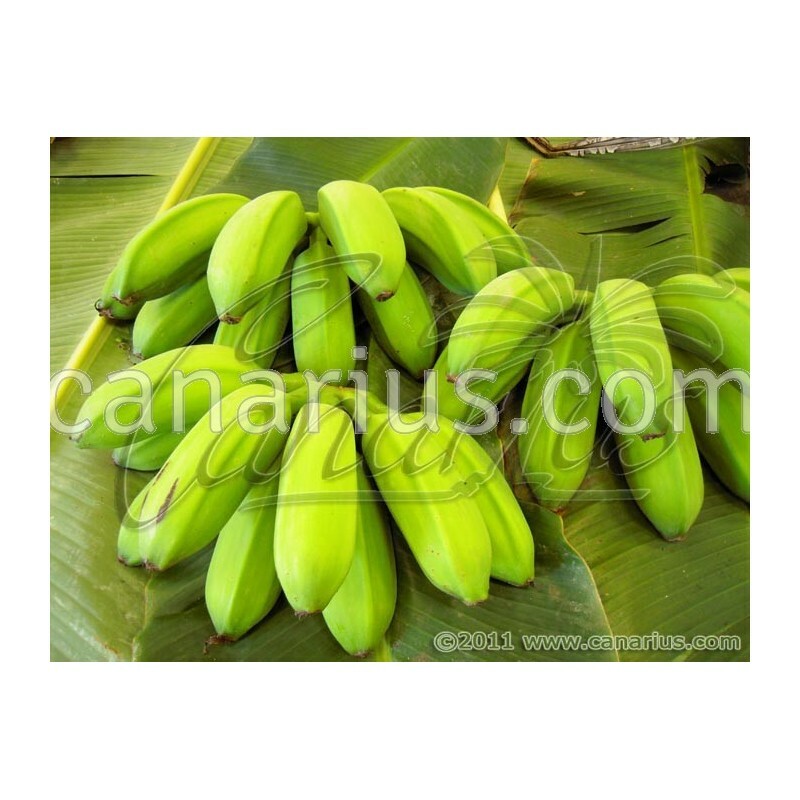 They are different from the common bananas of the supermarket, because their texture is fluffier and their taste is more sweet and acid. It is very easy, fruits are very good but it is also less productive than "supermarket bananas" because the bunch is about 1/3 in weight than the typical commercial bunch. 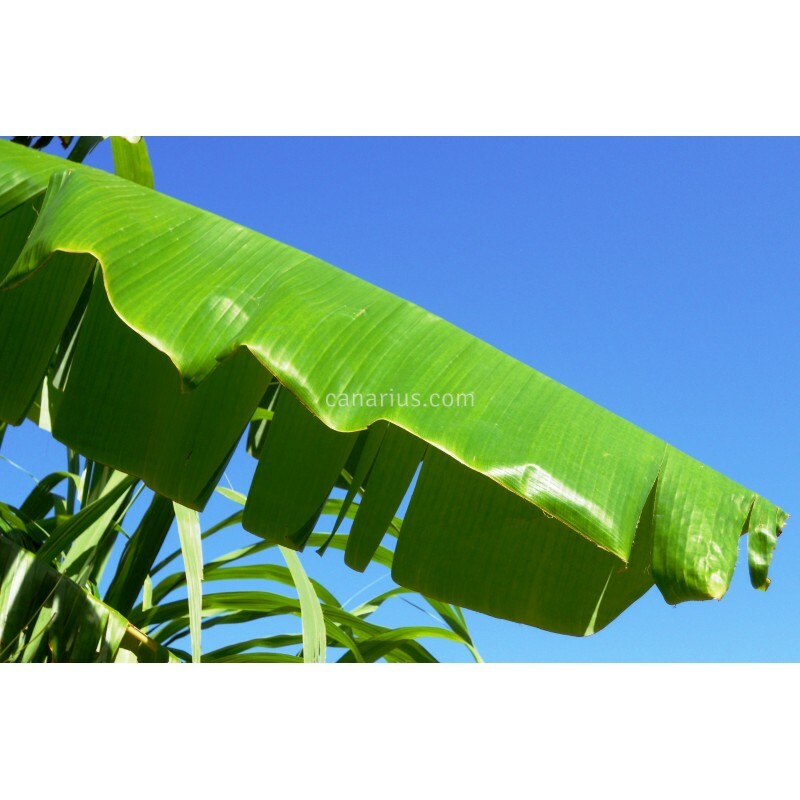 Cultivation is similar to other bananas, but it is more resitant to neglect and drought. 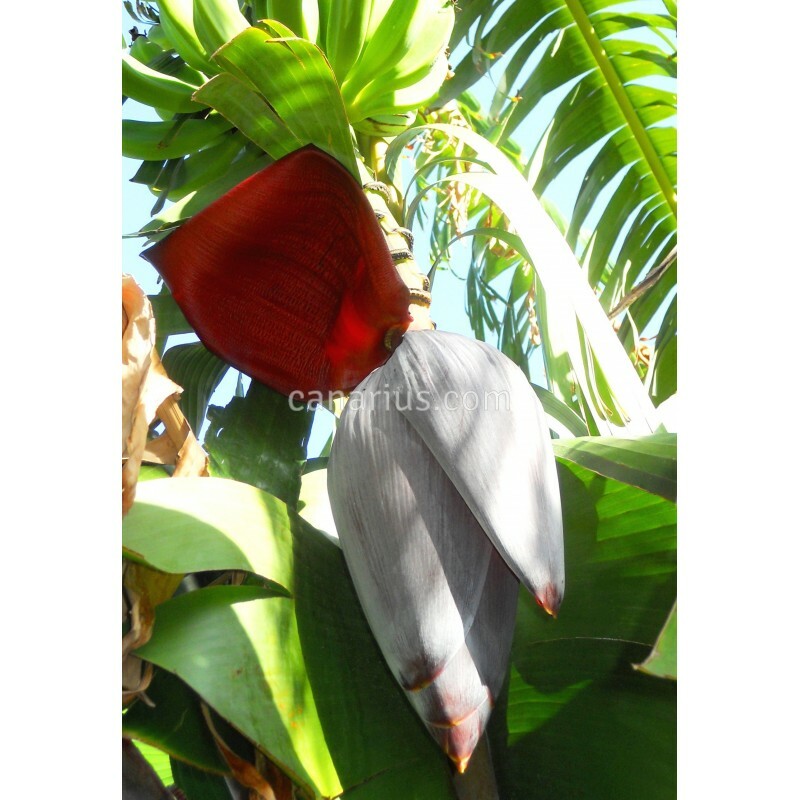 Musa 'Orinoco' can be grown to fruit in large containers as long as water and fertilizer are regularly provided. It can bloom and fruit outdoors in the coastal Mediterranean. 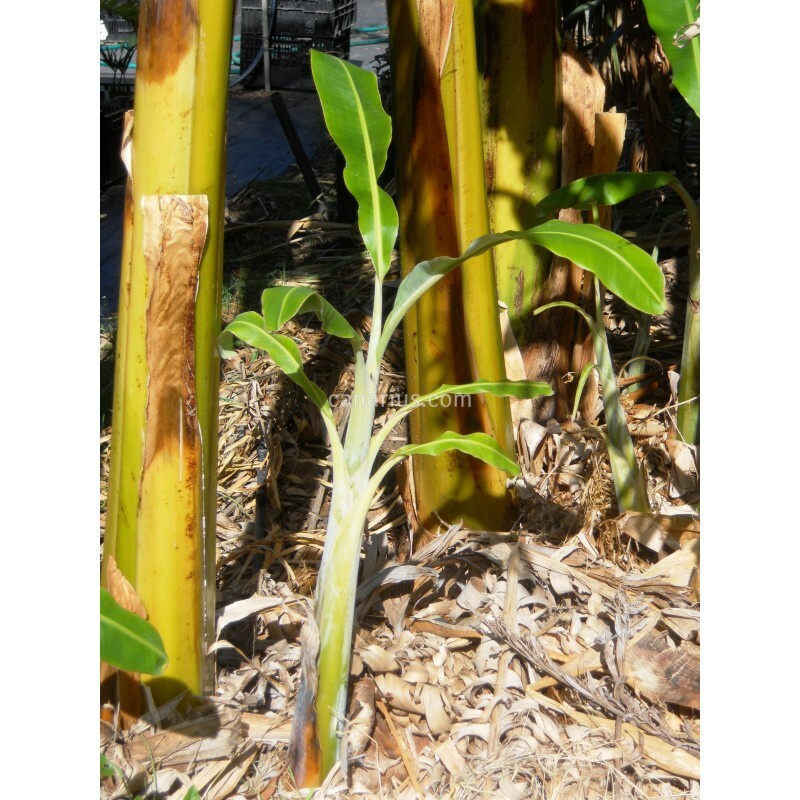 Remove suckers to promote better growth of the main stem. 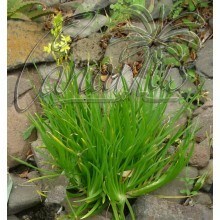 Fertilize heavily when the plant is growing. We ship a stout rooted sucker, not a potted plant. You will receive it with the corm wrapped in a bag with moist sphagnum or perlite. In spring, suckers may not have roots. In this case, suckers are easy to root if temperatures are kept between 20 and 30 C.